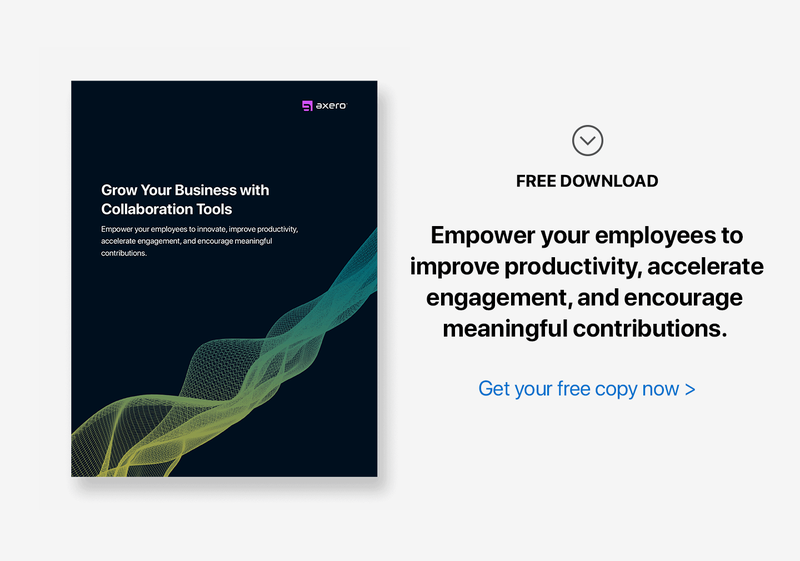 Easy to use, highly intuitive, and functional for businesses in just about any industry, it's no wonder why so many organizations have embraced social business software since collaboration suites first began to hit the market. There's simply no better tool available than collaboration software for software developers for streamlining workflow and ensuring that everyone stays on the same page as one another. In an age where more and more software development teams are working remotely, tools such as team collaboration software are gaining importance at a remarkable rate. The benefits associated with social business software are difficult to deny, especially once you see it in action. For teams that are looking to improve upon the ways in which they operate, a group of tools such as this can feel like a godsend. Here are 8 ways software development teams can benefit from implementing collaboration software, all of which can be combined to have a synergistically positive impact that can help to push any organization in a forward direction. Software teams need to have access to technical documentation at all times throughout the day. If this information doesn't live in an easily-accessible place, problems can arise rather easily. A powerful function of social business software is the ability to create Wikis, which can house any and all technical documentation that you might need on a daily basis. Not only can you store this info within the system so that all members can view it, but Wikis can be tagged for easy retrieval and shared with other individuals on your team (or the entire team, for that matter). Once you have everything laid-out in a well-organized fashion, you'll never find yourself having to dig for technical documentation again. Running into bugs is a daily issue for software teams. Regardless of how proficient one is at their job, the creation and testing of new software simply invites the arrival of bugs and hangups, some of which can be extremely difficult to mitigate. With social business software, you can open cases for each bug, tracking the progress from initial discovery to eradication. As many software teams deal with a number of bugs at one time, the ability to split things up into cases and keep track of each individual issue can make all the difference in the world in terms of improving workflow. Regardless of how well you've built a specific piece of software, your customers will no doubt run into issues using it. Sometimes, these problems can be remedied in the blink of an eye, as customers may have just a few simple questions that need to be addressed. When used for external customer service purposes, social business software can help to save time on both your end and that of the customer. Clients and customers can easily pose questions either via forum posts or real-time chat, which you can then answer in as much detail as is necessary. It may seem like a small way to save time, but it can truly add up the more you utilize this function. Keeping track of tasks can be an overwhelming process for many software teams, especially when there are multiple projects in the works at one time. Proper task management is an essential part of any software professional's workday. Social business software allows you to organize tasks in a way that will ensure that you're always handling the most important priorities first. You can set statuses for each and every task you're in charge of handling, for example, changing them as the project progresses. This can be a very effective tool for asking for feedback from other members of the community as well, which can help to save time and bring you and your team faster, more effective solutions. Communication is one of the most important things that any software team can focus on improving, especially those in which members work remotely from one another. Fortunately, communication is also a central element of social business software. Real-time discussions can be had at the drop of a hat, whether it be with an entire group or a single member of your time. In many ways, social business software replaces email in this regard, which also makes it extremely easy to look back on any old conversations in order to retrieve valuable information. When properly utilized, internal communication via collaboration software can be a powerful ally to any team, especially those which focus on testing and development of software and applications. Release dates hold a lot of weight for software teams. They're not only exciting, but every member of the team needs to keep a close eye on things when release dates come around, as new bugs can pop up, customers will inevitably have questions and other obstacles can easily get in the way of a successful launch. Social business software features a group calendar system that allows every member of your team to be fully aware of when a release is set to occur, which can truly come in handy if you and your team are pushing out updates on a regular basis or working on a multitude of projects at once. This also eliminates the need to use external software for scheduling, taking the “application juggling” issue that so many people experience regularly and eliminating it from the workday. One of the most difficult tasks for any software team to take on is bringing in new members. A strong addition to a team can, of course, be highly beneficial, but it can also be a time-consuming, difficult process to get people up to speed. Social business software helps dramatically with employee onboarding, as it can serve as a training grounds of sorts thanks to the help of Wikis, outlined workflow procedures and training videos. The time saved as a result can be put towards more important aspects of the workday that might get overlooked when attempting to train a new team member, which is highly valuable in today's fast-paced technological landscape. Juggling documents and files can be a difficult process for even the most well-organized software teams, especially when a number of different applications are used in order to do so. Any piece of well-built collaboration software should come along with a robust document management system, which software teams can use to share development plans, update guidelines and coding standards, develop project plans and more. Plus, you can tag, like and comment upon files and documents once they're in the system, making organization and prioritizing a veritable breeze. The demands put upon today's software teams are only going to increase as technology becomes more complex. Implement the right tools now, and you can rest easy knowing that you and your team are prepared to handle future projects with ease, regardless of what they might bring.